Comments Off on Away of Photography When You Are In Traveling! 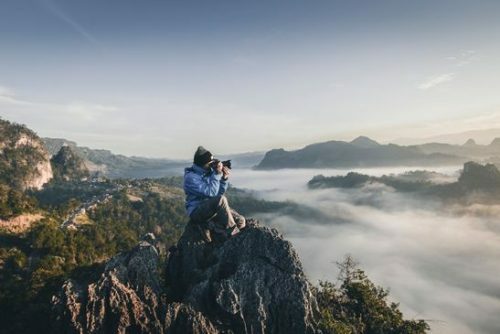 Today, seems to be travelling won’t be the special thing if you can’t really capturing all the moments while you are enjoying all of the luxury of a trip your are getting. Many of us are taking images almost all the times that made me thinking we don’t really enjoy the travel moments. I mean, how can it be possible for us to really living up in the best moment in life if we are getting busied by which photography poses and filters to be used for images we are going to upload on Instagram? In one side, photographing travel moments are needed, but in the other side, it can actually ruin your trip without you being realising about it. Photography surely not a mistake when you are making use of it at the travel destination you are visiting. But when it is dominated all of the things you should do at the destination, then it will surely become the issue you have to get rid off it. Capturing the travel moments is actually not to keep on updating things you do for your followers, but I think we should re-think about it since all of the moments you are getting through are valuable and many of them should never been published online. Travel images can help you remembering the beautiful things you have done, things you have shared with your lover or best friends, the most rare destination you have not been visited before, all of the moments you can’t experienced at the other places and many more. So, since the first place you are traveling, you are actually have been realised that every journey you are taking, many of them are valuable and can help you to be a better person with a better point of view about life. But in fact, all of what I have been expected on above is nothing at all since many of us are considering those as the useful things. Later, I once was telling myself to try not to capture any images at all when going out for traveling. At first, it can be troublesome since I think that I was getting used to be capturing images every where I was going. But, after trying a bit hard not to think about that. until today, I can really know and enjoy what the real leisure itself. And you can also do out of the box as what I have been proven. You will then enjoy the traveling by your own eyes not lenses and you will have more times to spend with those who you are inviting in a trip and start talking about anything. Anyway, I’ve seen people who are taking children in a travel and some of those kids aren’t treated properly since the parents are busy taking images. What a beauty this life is!